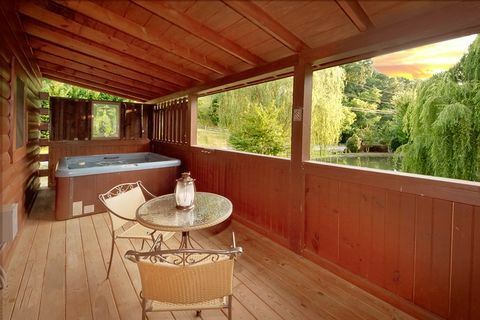 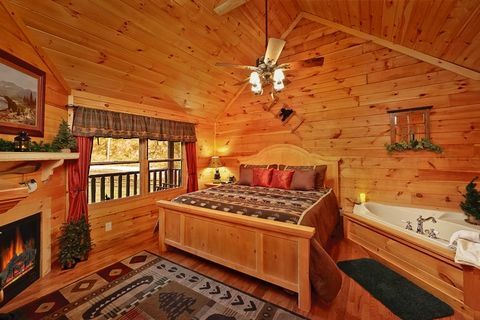 Enjoy this honeymoon cabin with pool access near Pigeon Forge and Dollywood! 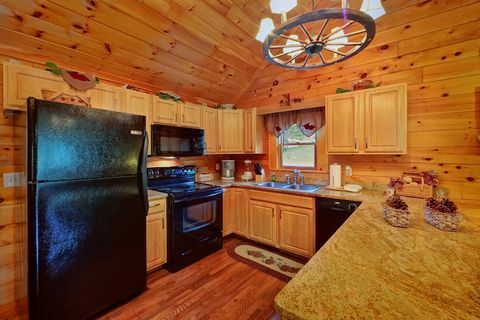 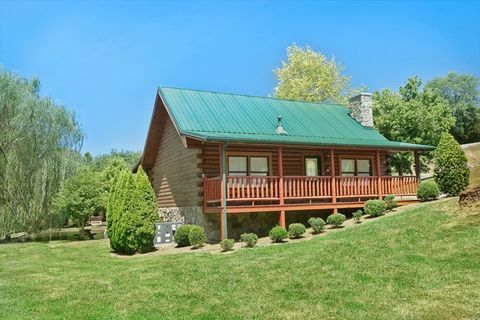 "Whispering Pond" provides vacationers with a 1BR romantic cabin getaway in the Tennessee Smoky Mountains for a Smoky Mountain vacation that won't soon be forgotten. 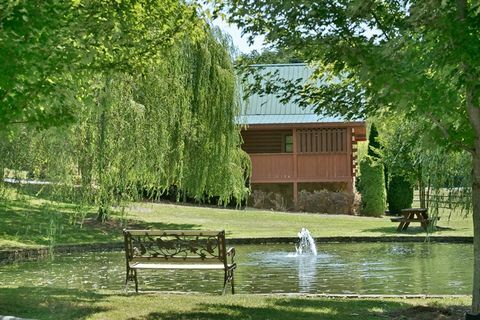 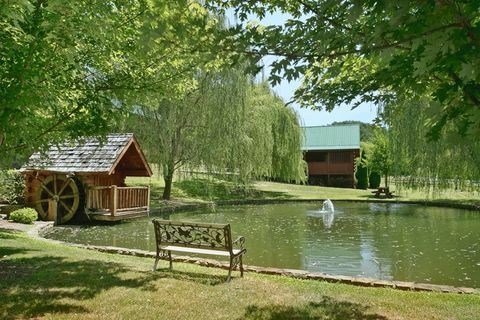 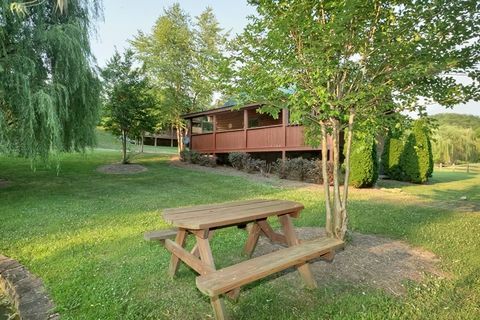 Nestled next to a beautiful pond in Cabins At The Crossing Resort, your Smoky Mountain honeymoon cabin's resort setting provides guests with several features to enhance your vacation stay. 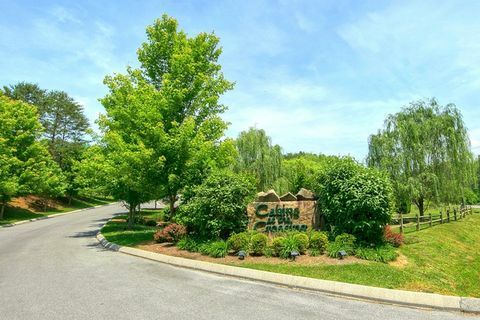 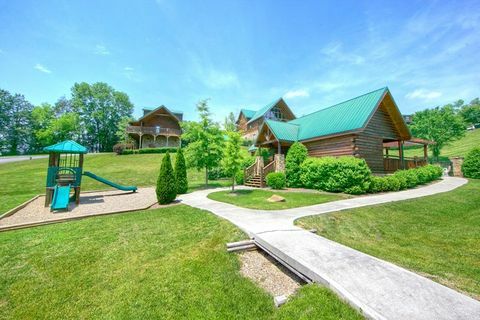 This beautifully landscaped resort cabin community places guests just minutes from Dollywood and exciting Pigeon Forge, where you will discover endless fun and adventure at the many attractions, stage shows, outlet shopping centers, and more. 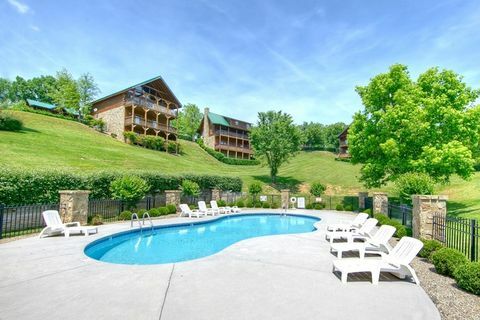 Summer guests can enjoy the outdoors resort swimming pool with pool house, changing rooms, poolside WiFi Internet, picnic tables, and a nearby children’s playground. 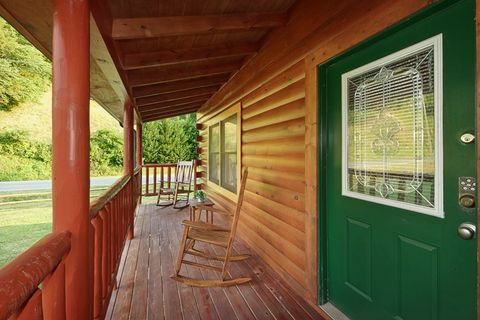 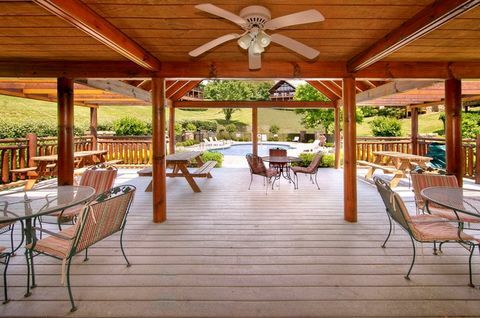 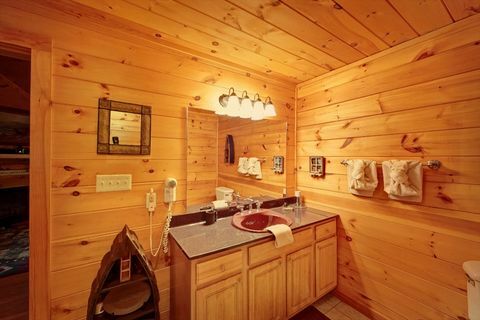 Your cabin with pool access near Pigeon Forge, TN provides guests with a welcoming interior as well. 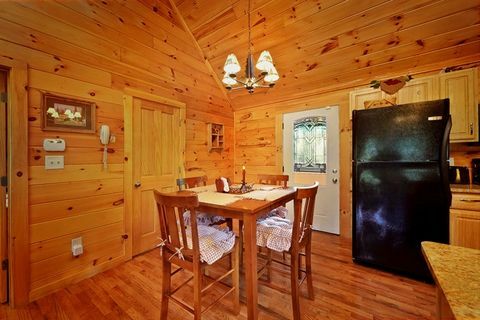 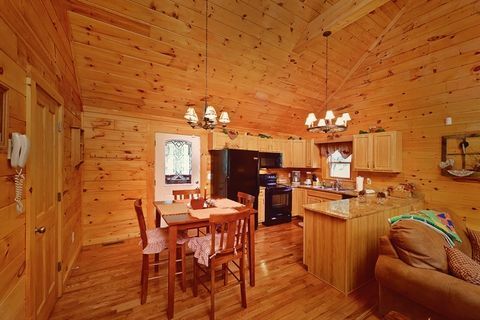 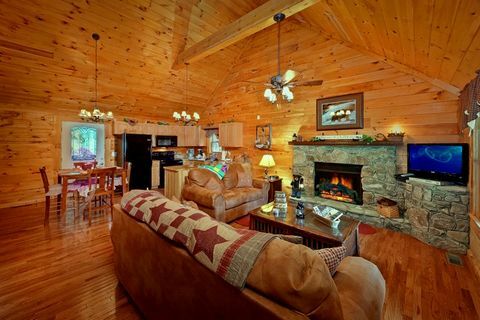 Step into your romantic cabin getaway in Tennessee and you'll find an open floor plan perfect for entertain. 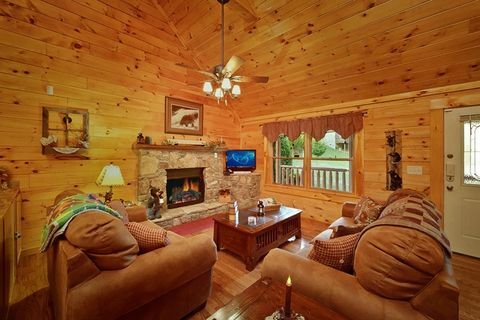 Relax on the plush sofas and enjoy some television while resting in front of the seasonal gas fireplace. 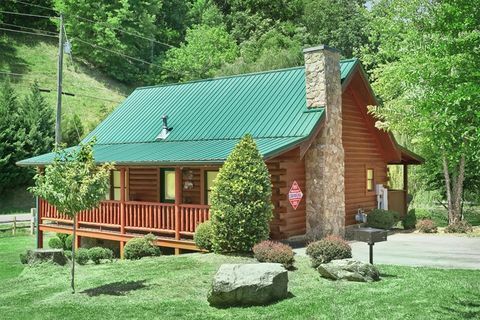 The cabin's WiFi Internet lets you go online to watch videos or share your Smoky Mountain adventures with your family online. 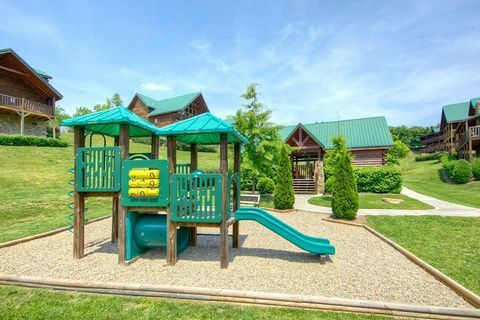 Whether your spend your day at nearby Dollywood, visiting local Pigeon Forge attractions, or by the resort pool, head back to your nearby Smoky Mountain honeymoon cabin to grab snacks or cook a meal in from the cabin's spacious kitchen or on the charcoal grill. 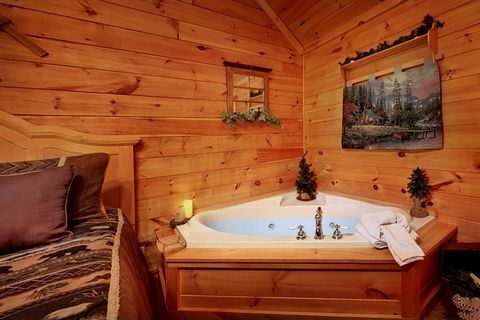 After your rejuvenating meal, enjoy a refreshing dip in your year round hot tub while listening to the soothing sounds of the resort pond's water fountain. 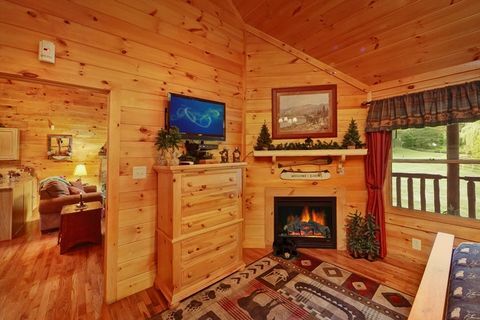 When it's time to rest for the next day of fun, retire to the comfortable king-size bedroom with plush linens, a jacuzzi tub, flat screen television, and romantic gas log fireplace. 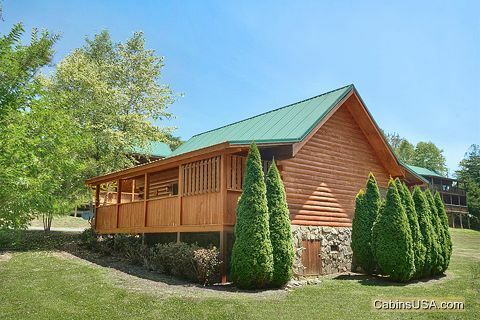 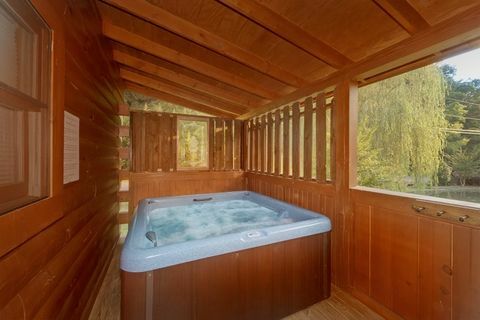 When planning your weekend retreat or Smoky Mountains honeymoon, remember to SAVE by booking your cabin with pool access near Pigeon Forge online with Cabins USA for an immediate Online Cabin Discount!